The YMCA, local churches, recreation centers, community centers and tennis clubs – indoor venues are attempting to feed the rampant pickleball addiction in-and-around Cincinnati. Whether it’s temporarily lining the indoor tennis courts for pickleball at the Court Yard Sportsplex in West Chester or swapping out the 15 feet free throw line for 7 feet kitchen lines at the Mason Community Center – indoor pickleball opportunities are relatively plentiful in the region. Unfortunately, however, for those of us who enjoy battling the physical elements of sun and wind, the options are much more limited outdoors. And that’s a shame. As the previous “Pickleball Specialist” at the Mason Community Center I was frequently asked where people could play outdoors. So, here are my top 4 choices for playing pickleball outside in Cincinnati, Ohio. 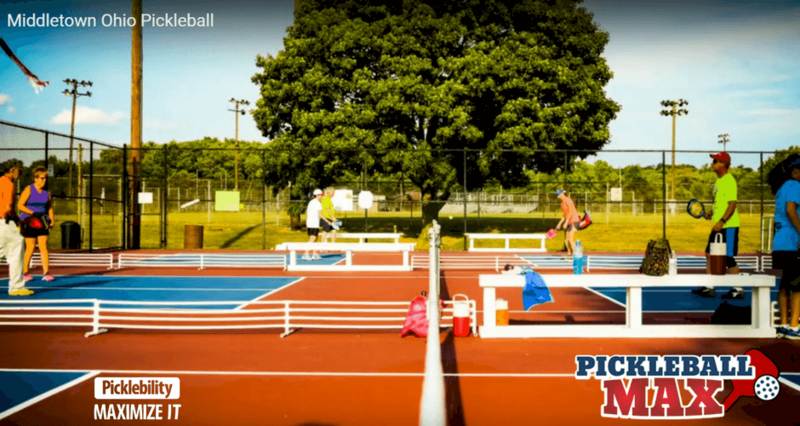 Self-proclaimed as the “Pickleball Capital of Ohio,” Middletown pickleball has been around since 2006. With 10 dedicated outdoor courts (soon to be 12) and play – competitively and recreationally – occurring virtually at any time of day, seven days a week, there’s really no excuse for not coming to visit. Since moving to southwest Ohio three years ago, I consider Middletown my “home” courts. Middletown has many formal events going on for club members – including Saturday morning round-robins and leagues, Sunday night shootouts, luck-of-the-draw club tournaments and the crown jewel, a USAPA-sanctioned tournament during the first weekend in August. Annual club membership is just $35/year. The Middletown Pickleball Association has approximately 200 paying club members. 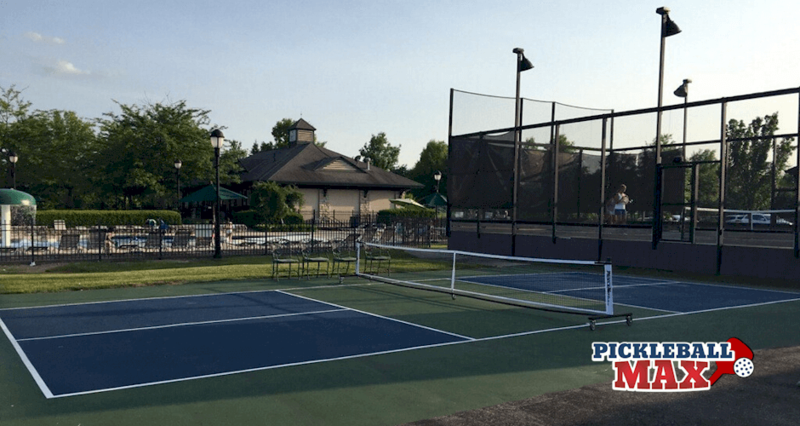 Built in late 2015, Clear Creek in Anderson boasts 6 beautiful courts – taking a backseat to no venue in Greater Cincinnati. To simplify and bring visibility to signups and scheduling, Clear Creek utilizes SignUpGenius. Weekday play at Clear Creek is typically from 9:00 AM – 12:00 PM and 5:00 PM – 8:00 PM with the exception of Wednesday evenings from June 6 to August 8 when the courts are reserved by the Anderson Parks Department for league play. On weekends, play at Clear Creek occurs from 9:00 AM – 12:00 PM and 1:00 PM – 3:00 PM. If you live in Cincinnati or are just visiting, this is a must-visit venue. Although I have never visited the pickleball courts at Mcdonald Commons Park in Madiera, the venue looks pretty nice. 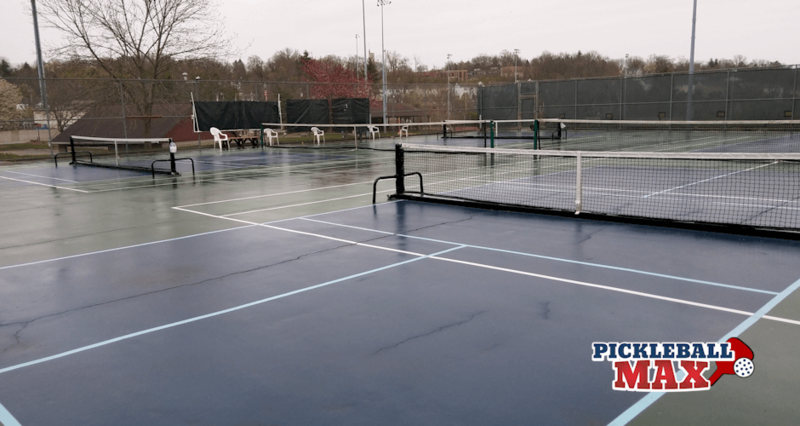 In late 2016, the existing tennis courts were repaved, resurfaced and lined for both tennis and pickleball. The venue features permanent tennis nets and portable pickleball nets. Pickleball – on the four pickleball courts – is scheduled daily from 10:00 AM – 12:30 PM and you can view the schedule and sign up on SignUpGenius. In addition to its world class championship golf course, three swimming pools, a Fitness Center, four clay tennis courts and three platform tennis courts (sounds like the Villages to me), Four Bridges Country Club also has three pickleball courts. However, they are for members only. Boo! For those of you with a membership at Four Bridges, don’t forget to check out the pickleball action! You’ll love it! 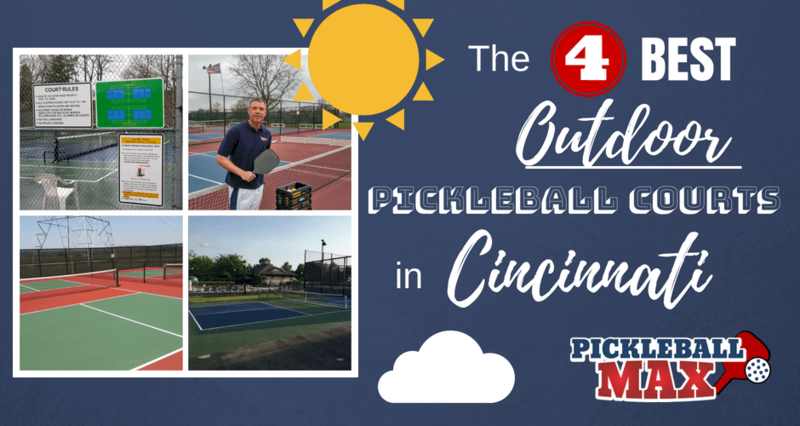 These are my recommendations for where to play pickleball outdoors in Cincinnati. There will, undoubtedly, be additional venues popping up in the coming year(s) – including 6-8 dedicated pickleball courts as part of the the renovation of Heritage Park in Mason in 2018/2019. Dayton – Don’t Forget About these Courts! 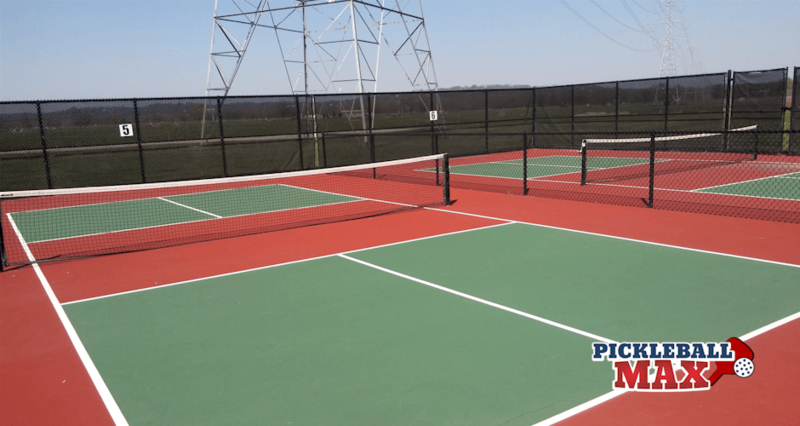 For those of you north of Cincinnati and in Dayton, please check out the four dedicated pickleball courts at Activity Center Park in Centerville, OH, the 6 dedicated courts at Herbert C. Huber Community Park in Huber Heights, OH and the 12 dedicated courts at Duke Park in Troy, OH. If you have an outdoor venue that you would recommend that’s not listed, please comment below. We would love to hear where you play!!! And perhaps, how far you drive to play if there is no venue in close proximity! See you on the courts!